If you're looking for a dual-purpose telescope appropriate for both terrestrial and celestial viewing, then the AstroMaster 130EQ Series is for you. A 650mm f/5 aperture is considered really bright in optical terms, and offers a wide field of view. In order to take full advantage of the telescope's short focal length and wide field of view, the user may consider the purchase of a longer eyepiece than the standard 20mm for viewing galaxies. 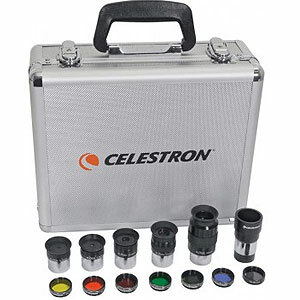 The AstroMaster 130 EQ-MD features coated glass optics, and is capable of producing clear and bright images of the moon and the planets. 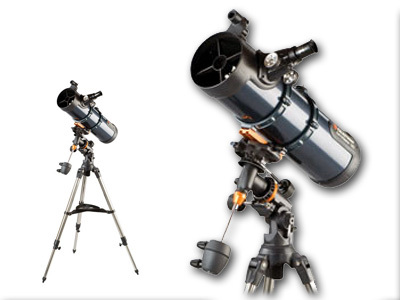 This unit comes with the motorized Celestron CG-3 German equatorial mount to allow slow motion controls on both axes, a quick dovetail attachment, a Star Pointer finderscope, a set of two eyepieces, star chart software, and a rugged, pre-assembled tripod for your convenience.